The Guest Internet hotspot gateway allows you to offer Unlimited Access, the user only has to agree to the terms and conditions of use in order to get Internet access. You can set default limits for data, bandwidth and time. You can also customize the legal disclaimer. You can force the user to visit your website after the login. 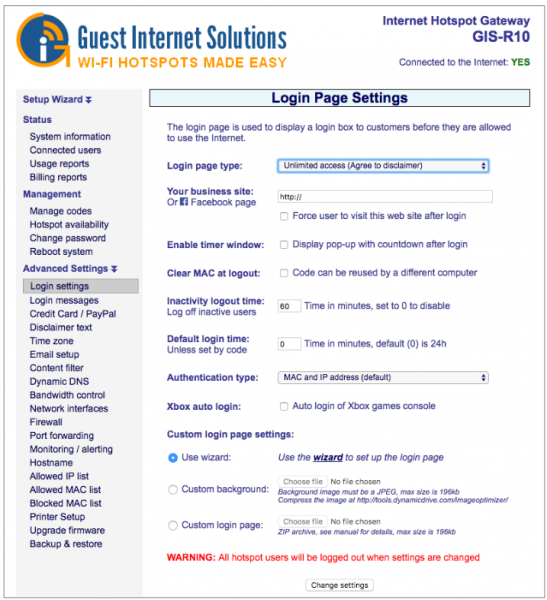 The Guest Internet hotspot gateway allows you to offer free Internet and permit all users to connect directly to the Internet without the login page. 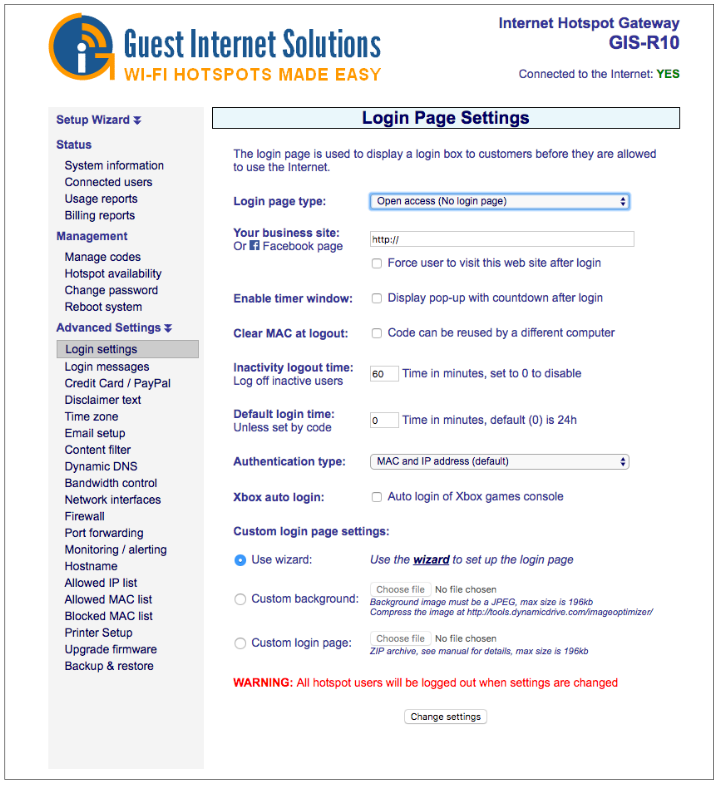 In the Open Access mode the login is done automatically, however all default limits will still be applied to the user (e.g. download speed limit). You can force the user to visit your website after the automatic login. Please contact us about becoming a partner if you think your customers would like our hotspot gateway products. We can also re-brand our products with your name and logo. Read more.